A trip back in Christmas card time…motorcycle style! A few of our previous motorcycle Christmas cards, just for fun and flashbacks! NOTE: Edited December 27, 2015 to add our 2015 Christmas Card. Here’s to a spectacular New Year in 2016! 1999: And yes, this was our living room! 2007: Santa & his helper, the sleigh, two tiny reindeer and Rudolph! 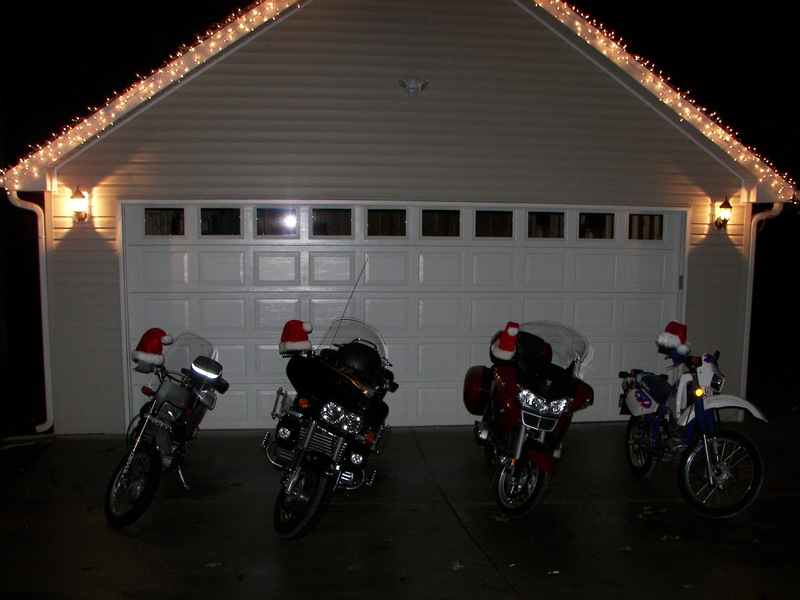 2008: Moved to new house with separate bike garage, added to the family. This never became a Christmas card, but the intent was there! 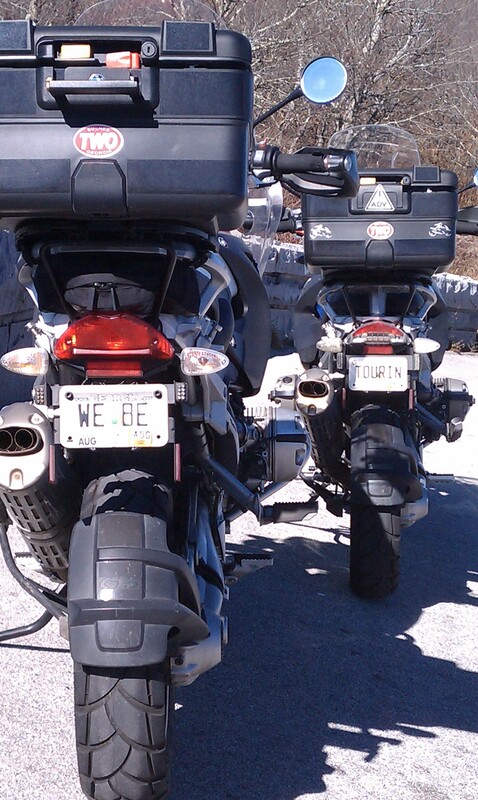 2011: Again, no motorcycle card, but this SHOULD have been it…on the Cherohala Skyway. He’s still WE BE, but now I am TOURIN. 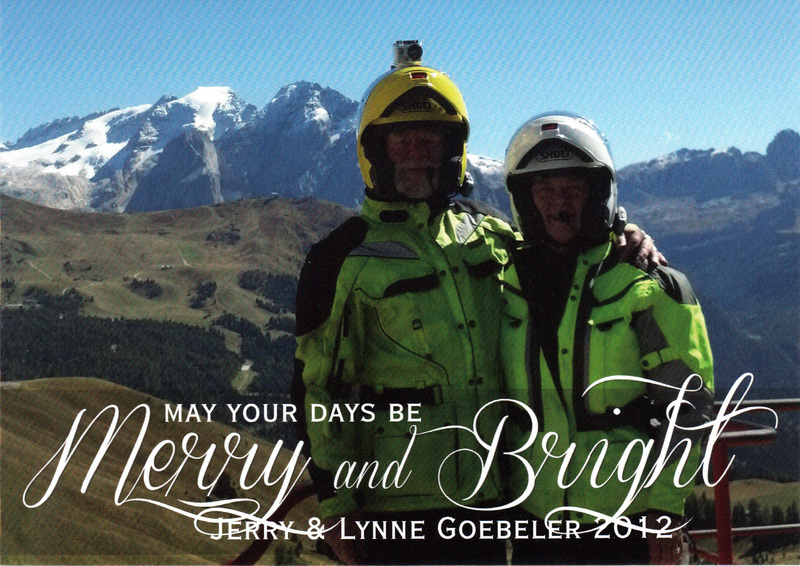 2012: This was the year of our first trip to motorcycle ride the Alps! 2013: This year, other responsibilities curbed our recreational riding, so our virtual card this year was our front porch bear, Carlos. We plan to make up the riding slack in 2014! 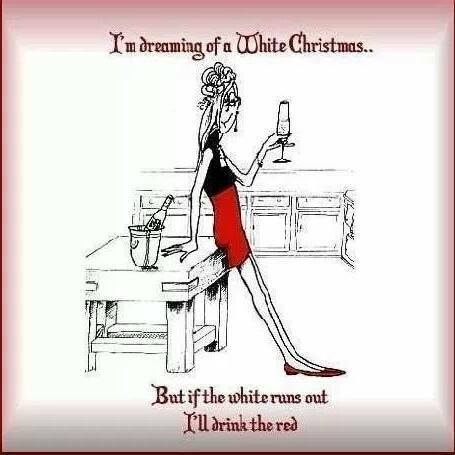 Cheers to everyone in blog-land, whatever your holiday of choice! 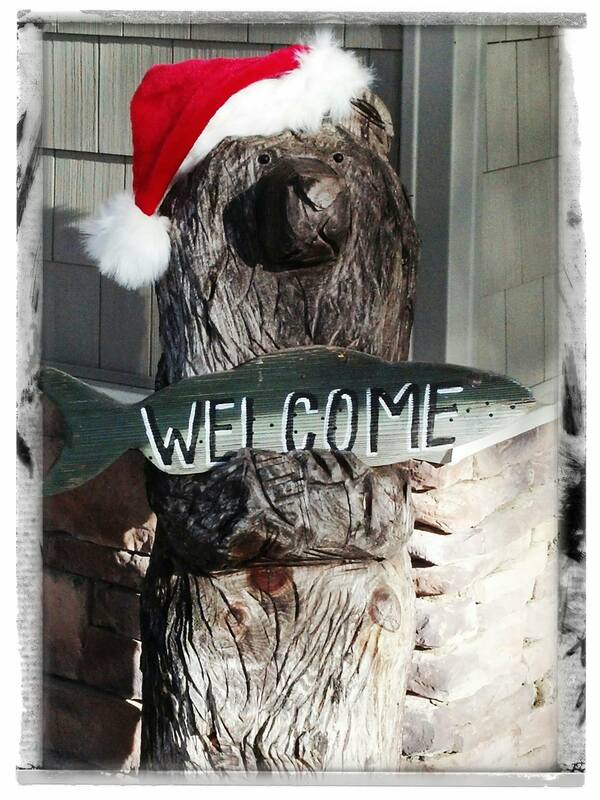 2014 was a year of suspense and transition, and alas, no Christmas card, per se, other than this Beary Merry virtual card. Great cards and what a history. Isn’t traveling great? Thanks, Lynn! Yes, traveling is great, and we are ready to do so much more of it! Merry Christmas! You are a motorcycle mama! 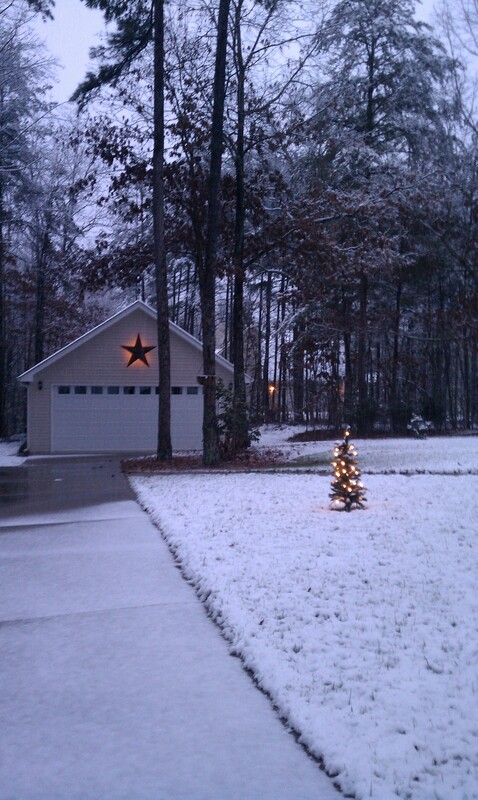 Have a great Christmas! 😀 There is no such thing as too much fun. BTW, from the other post: You. Chicken. Don’t belong in the same sentence…. As 2015 draws near to an end, I find myself reflecting on this year, our first of retirement, and counting my blessings yet again. We have truly had a magical year, enjoying riding and RVing, seeing inspiring sights across the US, visiting friends old and new, and reconnecting with family. One day I will start sharing bits and pieces of this year…it really was a gift. Life continued to have its ups and downs. Although our dear friend lost her mother early this month to complications from dementia, my mother continues her journey, making dementia seem a little kinder with her consistently sweet and happy disposition. How long does she have? Who knows…who knows how long any of us have? Lastly, I wanted to touch base with the blogosphere, since I have been missing so long, and thank those of you that have reached out to me in my absence. I have tried to keep in touch with many of you through reading and commenting on your blogs, but despite being retired, there never seems enough time! You know who you are…you are important to me, and I thank you for your words. Today marks two years and three months from my first blog post. There is no way I could have predicted how much my life has changed since that day. Thank you for being with me through it all. See you again soon…May peace and love be with you wherever you go.